Will the LG G4 come with a large screen? A new rumour about the upcoming LG G4 claims that it will come with a 5.6-inch screen, placing it firmly in the phablet category. The new leak comes from the @OnLeaks twitter account, which is generally well regarded for its tips on smartphones that have yet to be released. 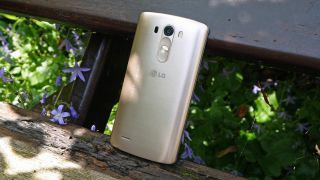 Although the LG G4 could see a big increase in screen real estate compared to the LG G3, another rumour suggests that LG will release an even bigger handset, possibly called the LG G4 Note, later this year with a 5.8-inch display and its own stylus.